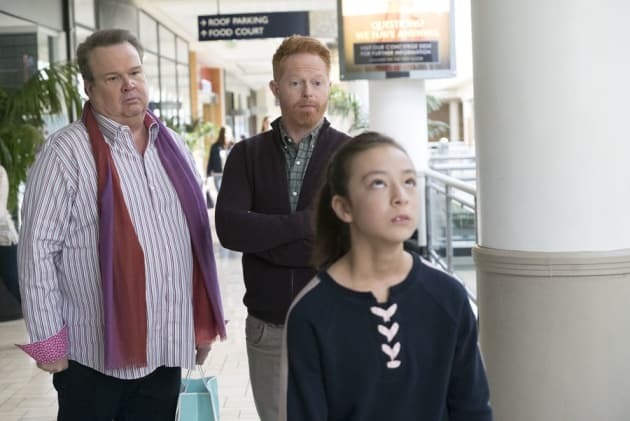 Cam and Mitch are in over their heads when Lily gets into a fight at school over bras on Modern Family. "Daddy Issues" is the 18th episode of the show's ninth season. 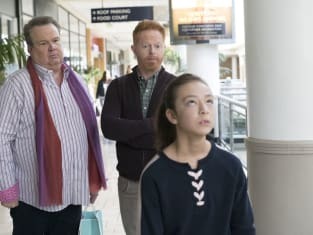 Modern Family Season 9 Episode 18: "Daddy Issues"
Why would you do that? My ears are still developing! Permalink: Why would you do that? My ears are still developing! Oops, I dropped the, uh, I wanna say egg chute, but I know it's probably something more Latin-y.